Producing the finest Sydney Rock Oysters in the pristine waters of Merimbula Lake since 1927. 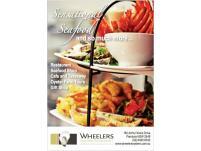 Join us for lunch or dinner at Wheeler's Seafood Restaurant. 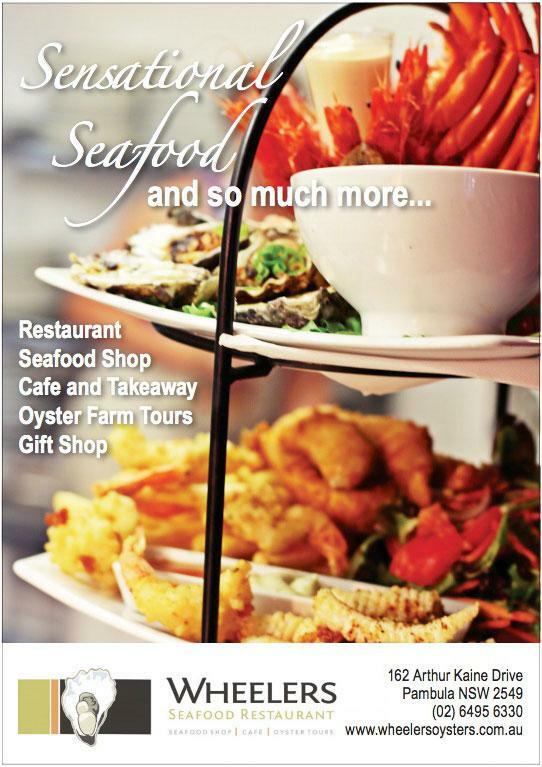 Browse our gift shop, take home some beautiful fresh seafood or go on our oyster tour & try our famous oysters. 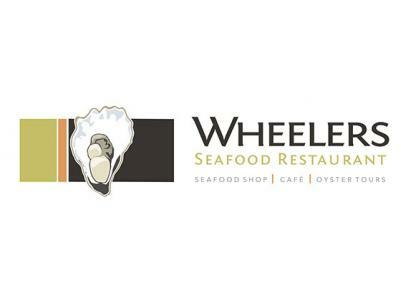 Wheelers Seafood Restaurant offers modern Australian cuisine with a choice of seafood, meat & vegetarian dishes featuring our famous oysters prepared a variety of ways both hot & cold. Browse our menu for local seafood, lighter salads, daily specials, hearty meals, asian flavours as well as the timeless classic - fresh fish & chips either with our famous Peroni Beer Batter or grilled. We also have a children's menu for junior diners. A good range of wines are available including regional wines, cocktail menu & Peroni Italian beer on tap. Plenty of bottled beers and refreshing cold drinks to choose from as well. Dietary requirements are catered for upon request. Finish your meal with one of our delightful desserts & an espresso or pot of tea. Pop into our new alfresco oyster bar. It's the perfect casual catch-up spot to meet friends for a drink. Featuring our plump and delicious oysters (of course!) and a range of snacks, share a plate while enjoying the views over the golf course and beautiful Merimbula Lake. Our menu changes regularly but you'll find a sample menu below. Geoff Willis, our talented local pianist is at Wheelers on Wednesday nights from 6pm to tickle the ivories & entertain you while you dine, bookings are recommended. Sunday Sessions with Geoff Willis run from 12pm to 3pm. Why not join our Oyster Club to stay notified of upcoming events & special offers plus receive in-store discounts & bonuses. Our shop covers all your take-away & fresh seafood needs. Try our fish & chips or variety of snacks to enjoy here at our outdoor tables or at home. Of course our terrific fresh & topped oysters are available here too! Espresso Coffee & Tea, Cold Drinks, Milkshakes, Ice Creams as well as Cards and Postcards, Gifts for young & old, Souvenirs, Shells, Jewellery and more. We now also stock a delightful range of Italian Coffee machines and quality cups & saucers which made wonderful gifts for the espresso or tea lover. peak periods, and for special occasions.